Riser systems, with extended periods of use under a variety of conditions, must be rugged and reliable, easy to use and maintain, cost-effective and operationally efficient. 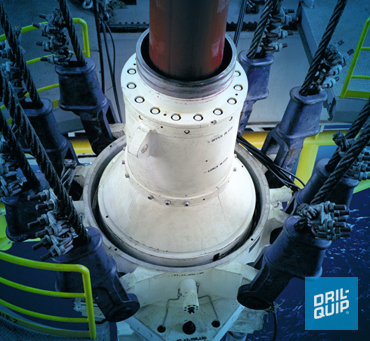 Designing a marine drilling system that offers the appropriate balance of technology and economy is a challenge which Dril-Quip has met with its Rapid-dePloy Marine Drilling System. The system, as its name implies, is quickly installed, saving valuable rig time. It is designed for ease of use and maintenance, with field replacement of critical components. This rapid-running, high-strength system is built to last – designed to effortlessly handle ultra-deepwater and extreme drilling conditions today and well into the future. 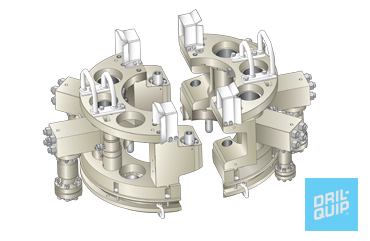 Dril-Quip offers a complete line of riser systems that provide features such as stronger connections, additional auxiliary lines, automatic fill-up valves and greater tensioning capacity. These components meet or exceed the new demands of deeper water drilling and include: Riser Spider and Gimbal, Diverter System, Flex Joints, Telescopic Joint with Tensioning Ring, Termination Joint (auxiliary lines) and Riser Fill-Up Valves.